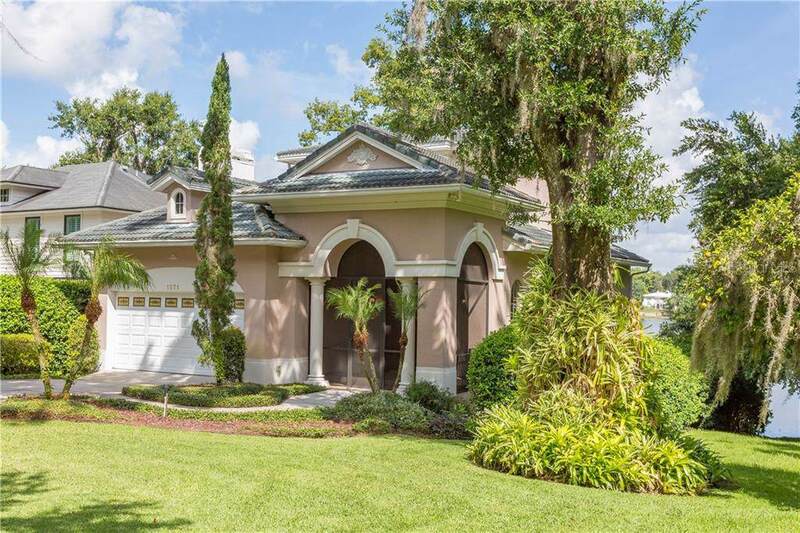 Dramatic 3 Bedroom 2.5 bath lakefront Mediterranean home on Lake Sylvan. A large top floor master-suite with luxurious bath & closet and a lakeside balcony. The main floor is great for entertaining with a chef's kitchen featuring a Wolf 6 burner gas range, Sub-Zero refrigerator/freezer, tons of light wood cabinets and an eat-in area. The adjoining dining and living rooms have a lakeside balcony with tremendous views of the lake. The lowest level has 2 bedrooms and a full bath. 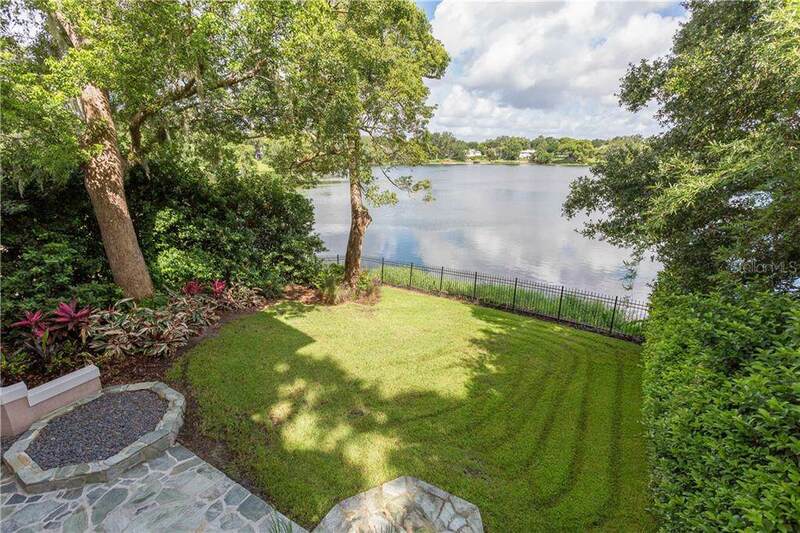 On this level there is also an office/library and large family room with custom built-ins that overlook the fenced in backyard and awesome lake views. Wood floors are throughout the three levels of this home. 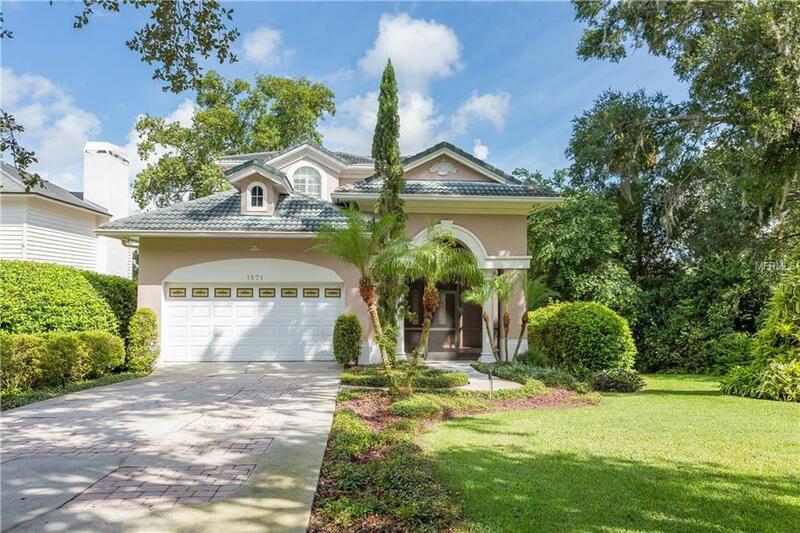 Situated on a tree lined brick street in Sylvan Lake Shores, a charming Olde Winter Park neighborhood that is close to everything. Park Ave shopping and restaurants, parks and A-Rated schools are just a few minutes away.